The white-hot Russian pianist brings a virtuosic and vivacious recital program to The Music Center at Strathmore Hall (5301 Tuckerman Lane, North Bethesda, MD). Free parking is available for ticket holders. on Saturday, January 25, 2014 at 7pm. With his characteristic blend of “heroic force” (The Independent) and famously passionate interpretation, Matsuev’s recital traverses the spectrum of classical moods: the poetic elegance of Haydn’s Piano Sonata in E-flat Major, Hob. XVI:52; Schumann’s nimble, playful Carnaval, Op. 9; some of Tchaikovsky’s most soulful piano works (Dumka in C minor, Op. 59 and Méditation, Op. 72, No. 5); and intense and shadowy Rachmaninoff in a pair of preludes (G minor, Op. 23, No. 5 and G-flat minor, Op. 32, No. 12) and the Piano Sonata No. 2 in B-flat minor. The winner of numerous prestigious international honors including the 11th International Tchaikovsky Competition and the Shostakovich Prize, the Siberian-born Matsuev made his name internationally as an ardent Romantic specialized in the music of Rachmaninoff. While the composer’s quintessential concertos are still the bread and butter of Matsuev’s “pedal to the metal” persona, the intimacy of this recital—although still filled with crowd-pleasing virtuosity—highlights his deep emotional connection to this repertoire. His performance is sure to heat up the hall on a cold winter’s day! 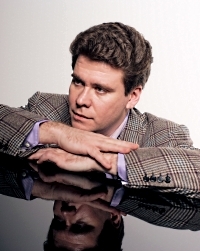 Hailed “as the successor to Russian keyboard lions like Evgeny Kissin, Arcadi Volodos, and … Vladimir Horowitz” (The New York Times), Denis Matsuev has been establishing himself as one of the most sought-after pianists of his generation. Ever since his triumphant victory at the 1998 International Tchaikovsky Competition in Moscow, he has been winning acclaim from critics and audiences alike for his combination of stunning virtuosity and clear artistic identity. Tickets for the performance at Strathmore are $35-$75 and can be purchased fee free from the Strathmore ticket office, or by phone at 301-581-5100 (Monday-Friday 10 a.m.-5 p.m., Saturday 10 a.m.-10 p.m.), or online at www.strathmore.org. Group ticket discount is available for groups 50+ people 15% off, and for groups 20+ people 10% off. Student discount of 20% is available when purchased in person with valid student ID. The Music Institute of Chicago honors the extraordinary legacy of Martin Luther King, Jr. at its 10th annual celebration of the legendary civil rights leader, featuring the renowned Brotherhood Chorale of the Apostolic Church of God, Sunday, January 19 at 5 p.m. at Nichols Concert Hall, 1490 Chicago Avenue, Evanston, IL. Ticket proceeds support the Music Institute’s William Warfield Memorial Scholarship Fund. The Brotherhood Chorale, a 180-member male choral group led by conductor Brian C. Rice, will again perform an electrifying program of repertoire offering traditional and contemporary gospel and jazz arrangements. This annual performance by the Brotherhood Chorale has become one of Chicago’s most inspiring annual tributes to Dr. King. The William Warfield Memorial Scholarship Fund annually offers need-based financial assistance for minority students at the Music Institute of Chicago. Famed operatic baritone William Warfield was a longstanding member of the Music Institute’s board of trustees. He was a graduate of the Eastman School of Music and, in 1975, accepted an appointment as professor of music at the University of Illinois at Urbana-Champaign. He later became chairman of the Voice Department. In 1994, he moved to Northwestern University's School of Music, where he stayed until his death. The nationally recognized Brotherhood Chorale was founded in Chicago in 1969 with less than 30 members. Under the guidance of its current and visionary director, Brian Rice, the Brotherhood Chorale has built an impressive repertoire and grown to approximately 180 members. In addition to performing every fourth Sunday for service, the choir sings outside the church and has been featured at the South Shore Cultural Center and the Chicago Civic Orchestra, among others. The Martin Luther King, Jr. concert featuring the Brotherhood Chorale takes place Sunday, January 19 at 5 p.m. at Nichols Concert Hall, 1490 Chicago Avenue, Evanston. Admission is $10 and is available at musicinst.org or by calling 847.905.1500 ext. 108. All programming is subject to change. Presented February 2 and May 4, 2014 at 7 p.m.
EarShot (the National Orchestral Composition Discovery Network) and Berkeley Symphony announce a new partnership for the 2013-2014 “Under Construction” program designed as an opportunity for emerging composers to develop their works with a professional orchestra. The selected composers for 2013-2014, chosen from a national candidate pool, are Sivan Eldar of San Francisco, California; B.P. Herrington of Conroe, Texas; Ruben Naeff of Brooklyn, New York; and Nicholas S. Omiccioli of Kansas City, Missouri. Each will compose a new symphonic work to be workshopped and read by Berkeley Symphony at the Osher Studio in Berkeley on February 2 at 7 pm (the first public unveiling of the composers’ works in process) and on May 4 at 7 pm (a run-through of the completed pieces). “Under Construction” has served as an incubator for emerging composers for more than 20 years, offering the unique opportunity to develop skills and gain practical experience in writing for a professional orchestra. Each selected composer will workshop and complete one large symphonic work to be presented at two separate readings, allowing composers the chance to hear their concepts realized and audiences the opportunity to have a window into the creative process. They will regularly meet with composers Edmund Campion and Robert Beaser in private and small group sessions, receive feedback and orchestration lessons from Music Director Joana Carneiro as well as participate in workshops led by key orchestra members. This expanded program is the result of a new partnership with EarShot, a nationwide network of new music readings and composer-development programs. As the nation’s first ongoing, systematic program for identifying emerging orchestral composers, EarShot provides professional-level working experience with orchestras from every region of the country and increases awareness of these composers and access to their music throughout the industry. The program is administered by the American Composers Orchestra (ACO) with partner organizations the American Composers Forum, League of American Orchestras and New Music USA. In addition to “Under Construction” with Berkeley Symphony, EarShot partnerships during the 2013-2014 season also include La Jolla Symphony (September 2013), Detroit Symphony (Readings on March 9-10, 2014), and New York Philharmonic (Readings on June 3, concerts on June 5-7, 2014, submission deadline December 2, 2013) as part of the NY PHIL BIENNIAL. Also as part of the NY PHIL BIENNIAL, ACO continues its own Underwood New Music Readings for the 23rd year in New York at the DiMenna Center (June 6-7, 2014, submission deadline December 2, 2013). To date more than three-dozen composers have been selected for EarShot new music readings with orchestras across the country including the Buffalo Philharmonic Orchestra, Colorado Symphony Orchestra, Memphis Symphony Orchestra, Nashville Symphony Orchestra, Pioneer Valley Symphony (MA), New York Youth Symphony, and the San Diego Symphony. Post-concert wine reception with live jazz by the Robert Page Jazz Trio. Six-city tour supports the new Deutsche Grammophon album Golden Age, available February 25, 2014. Tour dates include Miami, Atlanta, and New York's Carnegie Hall. Dashing, dapper and debonair, Max Raabe might have walked straight out of the Golden Age of Berlin in the 1920s. With his elegant poise, suave sophistication and silky-smooth baritone, he brings to life the songs and style of a bygone age. His ageless Peter Pan looks and impeccable style on and offstage have already made him a legend in his native Germany. In America multi-city tours and enthusiastic coverage have earned him a similar reputation. Highlights in the US include sold-out performances at Carnegie Hall, and appearances in Los Angeles, San Francisco, Philadelphia, Boston, Atlanta, Seattle, Cleveland and beyond. Max Raabe is not only a unique talent, but a very funny man. He has even traded quips with Bert and Ernie on Sesame Street. His passion was first roused by a record he found in his parents' cupboard: a humorous instrumental called I'm Crazy About Hilde. Before long he was collecting 78s in flea markets and junk shops. By the age of 16 he was an expert on the songs and styles of the Weimar era, his enthusiasm fuelled by black-and-white films featuring music, dance and comedy. In his early 20s Max moved to Berlin to study opera, dreaming of becoming a baritone, moonlighting with a friend to perform the 1920s songs he loved so much at bars and student parties. Hear the sounds of the season with works by six different composers. Plus a sing-along! On Saturday, December 14, 2013, The Bach Sinfonia will present its first-ever public holiday program in Silver Spring, MD. Audiences will hear period instrument performances of Baroque holiday music, including J. S. Bach’s Jauchzet Gott in allen Landen, BWV 51, Corelli’s Concerto Grosso in G minor, Op. 6, No. 8 (The “Christmas Concerto”), the “Pifa” and “Rejoice Greatly” from Handel’s Messiah and “Let the Bright Seraphim” from Samson. Torelli’s rarely heard Christmas concerto in G minor, Op. 8, No. 6 will also be performed, as well as seasonal works by Praetorius, Purcell and Vivaldi. Sinfonia will be joined by rising early music soprano Nola Richardson whose voice is “youthful & lively as the god of love" (Axel Feldman, Not for Fun Only), and natural trumpet soloist Stanley Curtis who plays “a ‘mean’ Bach Trumpet” according to The Washington Post’s Cecelia Porter, at the Cultural Arts Center in Silver Spring for the 8 PM performance. Each half of the program feature a period-instrument ensemble holiday sing-a-long of well-known (and less known) carols from the Baroque and late Renaissance. St. Ignatius Loyola’s annual Christmas concert, “A Child is Born,” features the exceptional Choir and Orchestra of St. Ignatius Loyola, the church’s community ensembles and a “Hallelujah Chorus” sing-a-long for everybody else! Performances will take place at the Church of St. Ignatius Loyola (980 Park Avenue between 83rd and 84th Streets) on Sunday, December 15 at 3 pm (SOLD OUT) and Wednesday, December 18 at 7 pm. Tickets are $75 preferred / $60 general / $50 reduced and can be purchased 24/7 at www.smssconcerts.org or 212.288.2520. Under the banner of the Church’s “vaunted” (The New York Times) series Sacred Music in a Sacred Space, director K. Scott Warren will lead the acclaimed professional Choir and Orchestra of St. Ignatius Loyola, plus the parish’s community ensembles, in the most celebratory moments of Handel’s masterful Messiah (including a “Hallelujah Chorus” sing-a-long), Victoria's transcendent O Magnum Mysterium and John Rutter's enchanting modern classic What Sweeter Music. The powerful line-up of soloists for the Handel includes soprano Ann Wazelle, mezzo-soprano Kate Maroney and tenor Philip Anderson. The orchestra shines on Vaughan Williams’s peaceful Fantasia on Greensleeves, and traditional hymns and carols give the audience a chance to raise their voices in song to celebrate the hope, love, joy and peace of the season. The concert is the exuberant pinnacle of a musically-rich December at the Church that began with a reflective Advent Lessons & Carols service on Sunday, December 1 and includes “A Chanticleer Christmas,” featuring the Grammy-award-winning male chorus singing Christmas selections dating from the Middle Ages through the 21st century, on Sunday, December 8 at 4 pm (SOLD OUT), and Monday, December 9 at 7 pm ($75 preferred / $60 general).